China’s booming economy has led the country to invest more on traffic infrastructure which has created the need for traffic management and security monitoring systems overseen by video walls displays in control rooms. Among all the traffic monitoring systems, those monitoring traffic safety in highway tunnels are especially mission-and-life critical. A large system integrator customer in China submitted a bid for a highway tunnel surveillance control room project which comprised of a video surveillance system, an emergency operations system, a vehicle recognition system, and a traffic management system. And crucially at the center, a video wall was needed in the main control room that was able to display all data and video coming from these systems in real time, with advanced warning capabilities that could draw an operators’attentionto the most critical images. Supported by the new AVS series—Advantech’s newest video wall controller products, and co-validated with Matrox Mura MPX video cards, our customer was able to render a proposal which provided industrial-grade stability and reliability with the highest cost/performance ratio among competitors. Before choosing Advantech’s AVS products, the customer like many other video wall system vendors in the China markettoday, developed video servers by themselves with components purchased from different sources. They had to test compatibility of these components, including motherboards, video cards, power supplies and others, over and over again and often encountered difficulties in dealing with thermal issues and system performance and this meant a lengthy R&D process with repeated investment. When they finally completed a workable system and shipped it to their customer for on-site installation, things still went wrong—either the graphic cards or memory modules broke loose, or the systemcouldn’t even boot up. This was because their computers were not able to endure vibration during transportation. They were also often having to provide maintenance service for their systems. 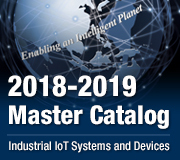 Individual components purchased from different vendors meant the technical support from their suppliers varied and was often of poor quality, plus they had to stockpile replacement components formaintenance needs, causing extra inventory costs. 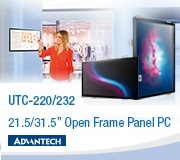 However, by choosing Advantech's turnkey solutions, all the hassles from R&D, shipment and installation, to after-sale service went away and now they are able to focus on their core business of designing and developing high-end video walls and providing value added services to their end customers. Advantech AVS series video wall controllersare dedicated to video wall applications with industrial grade designs for efficient heat-dissipation, and anti-vibration, stabilityand reliability features built in. On top of that, each AVS product is sent to Matrox headquarters at Montreal to go through tests to ensure that the computer system is fully compatible with Matrox’s Mura MPX video cards and can achieve optimal performance without electrical,mechanical or thermal problems. For 24/7 applications like highway tunnel control room video walls, stability andreliability are crucial. With Advantech AVS series products at the center, their video wall performed with optimal quality and reliability. 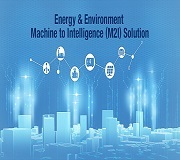 Advantech's turnkey solution helps system integrators shorten product development cycles, saving R&D investment, and minimizing headaches from rising costs of shipping, installation and operation. 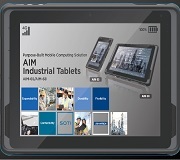 To aid maintenance, AVS series have remote control and management functions built in, this helps customers save a lot of time with on-site visits. 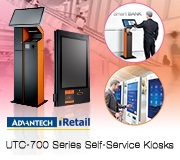 Advantech acts as single vendor for customers; if something happens they just call Advantech for trouble shooting instead of contacting multiple vendors for support. Advantech’s long product life cycle support reduces costs for stockpiling components, global logistics and technical support—saving effort on after salesservice and customer support.